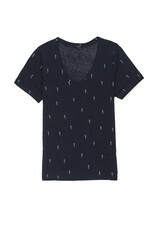 Soft knit, short sleeve, V-neck printed top. 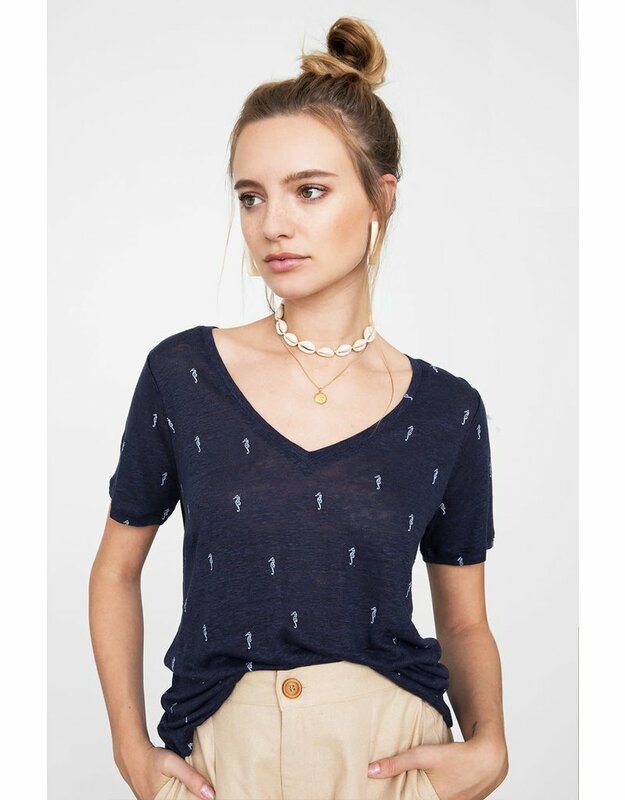 Add some whimsy and a personal touch to this classic tee with this fun conversational print. Great for layering.